Is there a better alternative to BitNami concrete5 CMS Stack? Is BitNami concrete5 CMS Stack really the best app in HTML category? Will BitNami concrete5 CMS Stack work good on macOS 10.13.4? 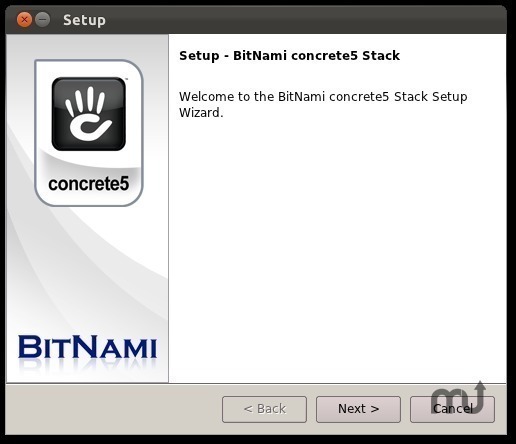 BitNami concrete5 CMS Stack Native Installer is an easy-to-install distribution of the concrete5 CMS application. It includes pre-configured, ready-to-run versions of Apache, MySQL, PHP and phpMyAdmin so users can get a concrete5 CMS installation up and running in minutes after answering a few questions. Windows, Linux, Linux 64, Mac OS X and Unix operating systems are supported. BitNami concrete5 CMS Stack needs a review. Be the first to review this app and get the discussion started! BitNami concrete5 CMS Stack needs a rating. Be the first to rate this app and get the discussion started! BitNami concrete5 CMS Stack is a content management system that allows to deploy Web applications, websites, stores and forums and easily manage their content and their site structure. It is also a flexible framework written in Object Oriented PHP 5, and follows a very extendable Model View Controller approach.